These 17 Exceptional Engagement Rings are all under $5,000.00. 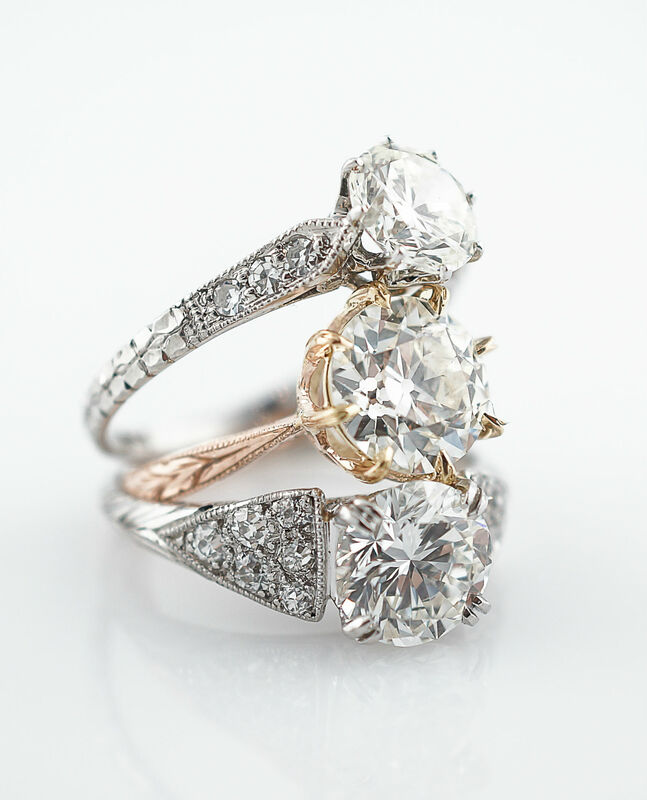 A vintage engagement ring is a perfect way to get a ring that has all the look and appeal of rings that are twice as much money. 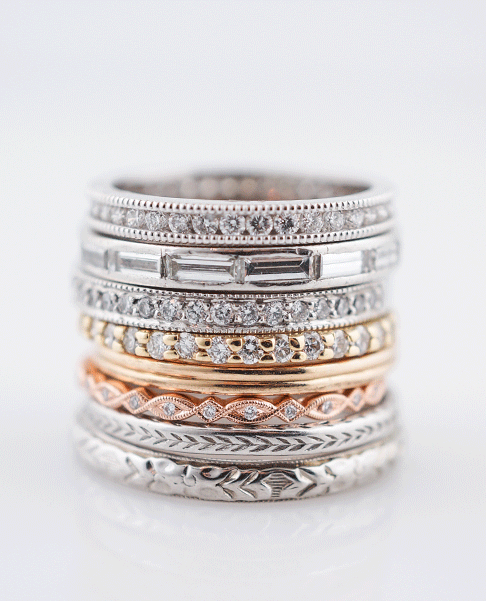 See some of the finest rings on our collection below! 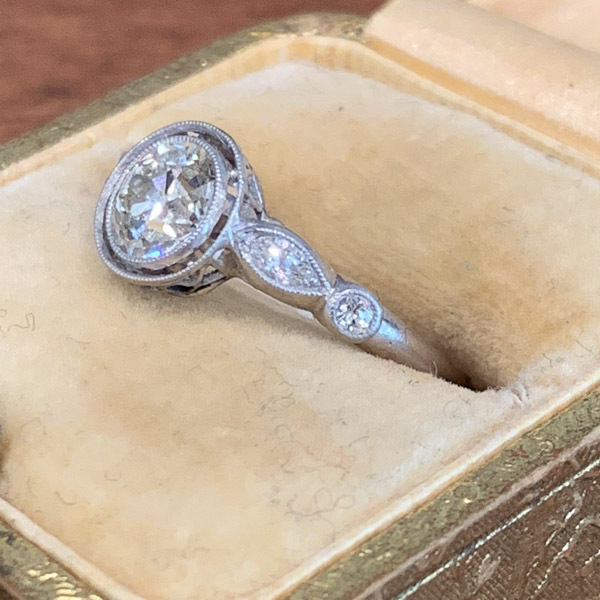 This original vintage diamond cluster ring is from the late 1800’s and is still as incredible today as it was 120 years ago when it was made! If art deco is your style then this may be the one! Stunning negative space and milgrain adorn this incredible piece. This original 1930s engagement ring is full of stunning features! Negative space is used to accent the geometric lines and accent diamonds create a beautiful shimmer of light. Fancy a solitaire vintage engagement ring? The center diamond is the centerpiece of this art deco engagement ring! Love vintage and unique? This double bezel art deco engagement ring has it all! This antique art deco engagement ring features a gorgeous cushion cut sapphire. The sapphire provides a fantastic contrast to the whiteness of the diamonds and platinum! This 1920’s engagement ring is a stunner! Negative space allows light to shimmer and dance off of the antique cut diamonds. This custom solitaire engagement ring features an antique old European cut diamond in a rose gold setting! This vintage engagement ring features an old European cut diamond. Geometric patterns and light organic open work make this one a true one of a kind! If you love an all diamond appearance, this art deco “step” style engagement ring is all you’ll ever need! This original art deco engagement ring hits all the right spots with negative space and diamonds galore! 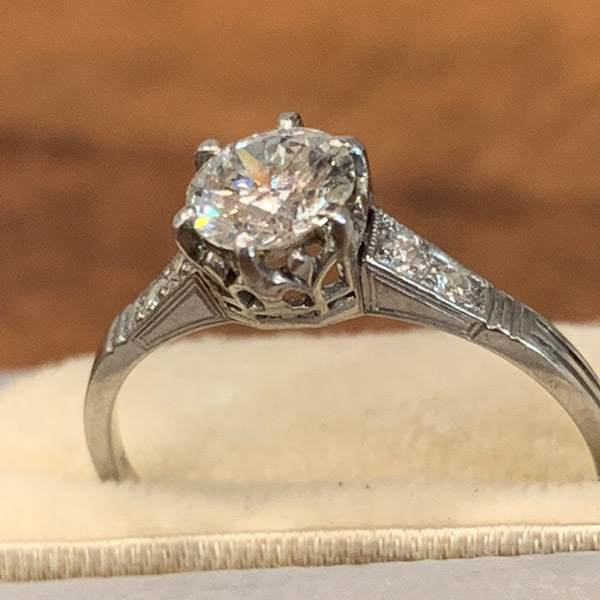 Old Mine cut diamonds are even older than European cuts…this very early art deco engagement ring has a crown basket and is simply exquisite! Two tone engagement rings are a unique way to differentiate your look! This superb ring is from the 1940’s and is striking from every angle. This filigree engagement ring is incredible. Open lattice work and milgrain detail highlights this amazing art deco ring! This Mid-Century engagement ring is a classic! 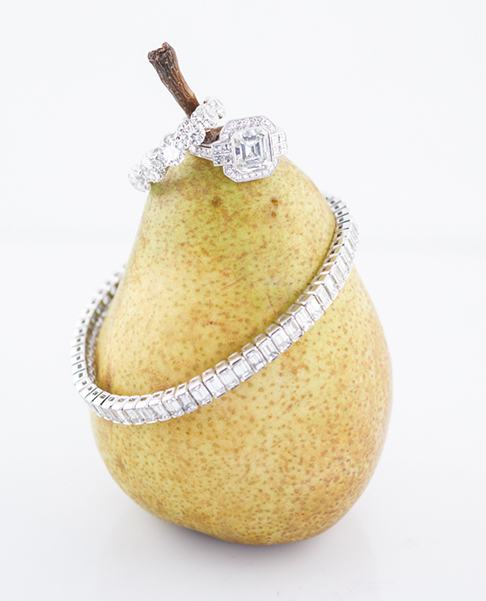 The center diamond is accented by baguette cut diamonds on each side is the perfect ring to stack weddings bands with! If art deco filigree is your style then this classic art deco engagement ring is sure to make yours eyes light up! Solitaire with a twist? This enchanting art deco engagement ring has a gorgeous center stone with dazzing side diamonds! *Bonus! Here is a cool article about some lesser know art deco buildings in Minneapolis! Should My Partner Be Involved When Buying An Engagement Ring?